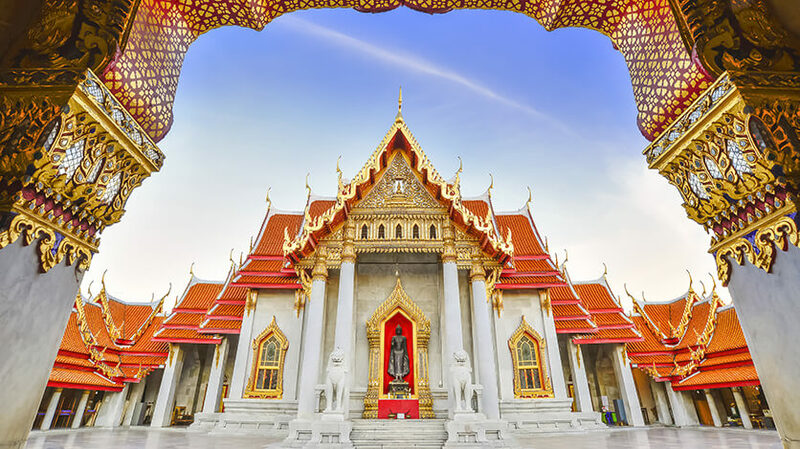 Bangkok is a sprawling metropolis which covers an area of 1,500 square kilometres and is home to an estimated ten million inhabitants. 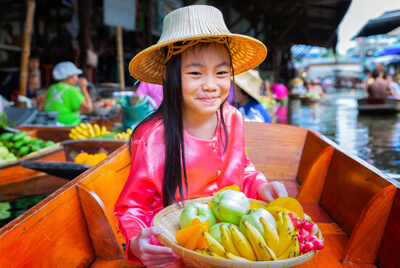 Each year the Thai capital welcomes more and more people from around the world, including an increasing number of British visitors. 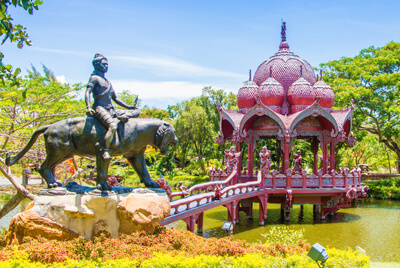 With an improving public transport system, getting around this huge city is getting easier every year and there’s no shortage of cultural attractions to see. Some of Asia’s most recognisable buildings dotted around the Chao Praya River in the centre of town. 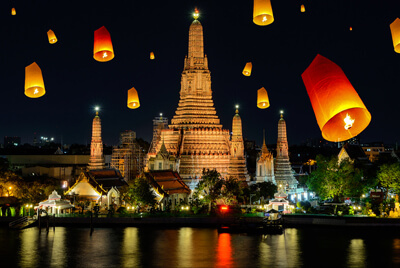 ‘The City of Angels’ is a foodie paradise with imaginative restaurants all over town and sumptuous street food available on practically every corner, whilst after dark Bangkok’s famous nightlife is a truly unique experience. 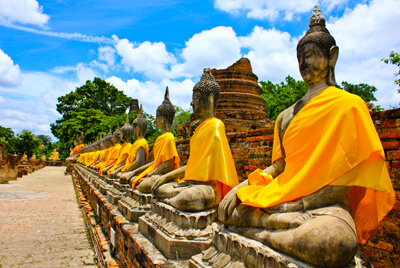 Away from the hustle and bustle of the city there are lots of exciting day trips from Bangkok with gorgeous beaches and unspoilt national parks within easy reach. The Khao Yai National Park is just over an hour outside the city limits, and numerous beaches lie within a short drive.